"This book helps to illuminate the emerging field of interpersonal neurobiology, and explain how important our early relationships are in shaping who we have become, and the importance of meaningful relationships in continuing to shape our brain throughout the lifespan. Included in these important relationships is the therapeutic relationship, which can offer the space for a meaningful relationship to impact our life and help us experience the world differently - even as we grow into adulthood." "Esther Perel talks about the tension in long term romantic relationships between the desire for closeness and the desire for mystery. This books explores our quest for meaning, vitality, and renewal - a desire to feel fulfilled and alive, while also wanting security and groundedness. Despite living in an age of technology that promotes contact with others, we often find ourselves feeling disconnected and lacking experiences that lend themselves to a sense of meaning, vitality, and contentment." "This is a book about changing our role in patterns that get in the way of intimacy. Lerner first aims to broaden and deepen your understanding of “intimacy,” as issues in relationships tend to arise when we mistake “intimacy” with being liked or approved. In a desperate desire to keep others close, this pursuit often leads us to lose our sense of selves and cause distance and turmoil in our relationships. 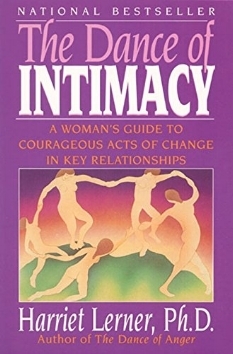 Addressing this paradox, “The Dance of Intimacy” helps you learn to balance separateness (the “I”) and connectedness (the “we”), enhancing your capacity for rich, fulfilling, and long-lasting relationships." "We each have an "Attachment style" that seriously affects how we go about finding a mate and being in partnership. "Attached" is a user friendly book that explains the concept of attachment (there's even a quiz to help you determine your attachment style) and gives very readable examples of how they play out in relationships. My only advice is to take the book with a grain of salt - it oversimplifies the very complicated system of attachment in my opinion." 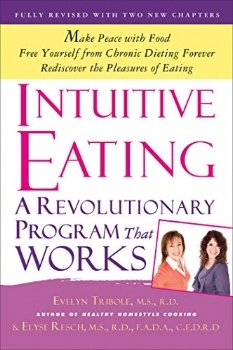 "Intuitive Eating by Evelyn Tribole and Elyse Resch can be a really useful read for anyone who has struggled with their relationship to food and eating. It helps the reader reconnect with their intuition about when they are hungry and when they are satiated. It is especially helpful in breaking away from all of the 'rules' we learn about eating that are so often unhelpful and ask us to ignore our basic wants and needs." "Epstein integrates psychoanalysis with Buddhist ideas through stories from his work as a therapist and his personal life. He outlines how change happens by relating to our thoughts, fears, and feelings with honesty and vulnerability." "Why can kindness feel so dangerous? Phillips observes from several angles our frustrations and our pleasures involving connection and compassion." "Find out what your therapist might actually think or what the process of therapy can be like with this book. The BBC Radio 4 explores the process of therapy by hiring actors to work with the 40-year-veteran psychotherapist, Orbach, to dramatize actual sessions. The results are in an intimate peek into therapy." 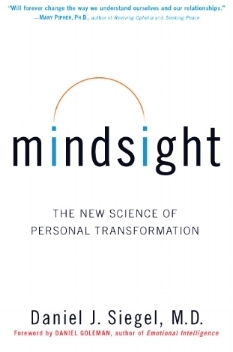 "In Mindsight Dr. Siegel explains and teaches the capacity to see your own mind with awareness and compassion. Dr. Siegel lays out the fundamental mechanisms in the brain that are behind our thinking, feeling and behaving, weaving insights from contemporary brain science with practical applications for well being. For those loving rational thinking, Mindsight helps bridge the logic of the brain with the wisdom of the heart." "The Wise Heart is engaging, powerful and practical. Integrating eastern contemplative practices with modern psychology, Jack Kornfield describes how to harness the power of Buddhist traditions for daily living. Kornfield reveals lessons from his challenging personal journey, connecting it with universal principles. Kornfield includes several guided practices at the end of chapters to help you engage with the material on an intimate level." 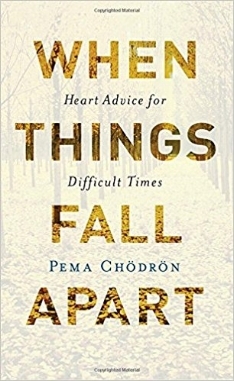 "When Things Fall Apart is a small book filled with lots of wisdom about how to be with ourselves through hard times. Chodron is a Buddhist monk who writes very clearly about how we constantly distract ourselves from what's inside. With a generous amount of compassion, Chodron directs us to stay with ourselves in the face of adversity." In Say Goodnight to Insomnia, Jacobs lays out a cognitive behavioral therapy program created to help improve our sleep. Jacob’s program teaches how to develop healthy sleep habits and combat the need for sleeping pills. Jacobs provides great insight for those who suffer from sleepless nights. Driven to Distraction offers compelling stories of some of the millions of people who live with ADHD. The authors use these stories to explore the myriad of ways that the diagnosis can take form. Coping tools and tips for living with ADHD are included throughout this strength-based explication of the diagnosis.